Friends, Ohio State had Minnesota beaten eight months ago. 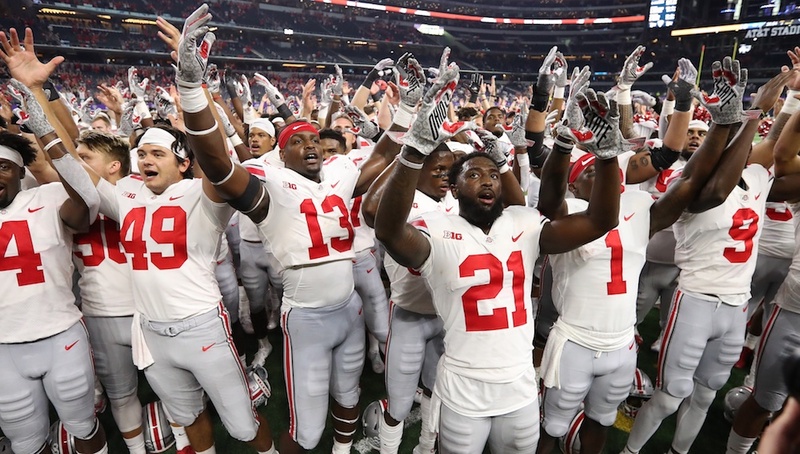 The Buckeyes have won prior to kickoff in each of the past two weeks via vastly superior recruiting, the weaponry advantage we just kind of take for granted. There's one problem with that; winning inelegant football games on the backs of Jimmys and Joes turns clunky 23 and 16-point victories into an existential crisis. This is how fans come to fear the future. Especially in an abruptly post-Bosa world. Minnesota's defense - not set at the snap due to tempo - still easily blew up this play. Minnesota's coaching staff bullied Ohio State's for most of Saturday, as if they spent a month and half creating false tendencies on tape just to shatter them in Columbus. Indiana did the same thing. In both games the Buckeyes figured out the ruse and adusted, and voila - neither the Gophers or Hoosiers did much beyond halftime. Both treated our favorite bully as a Super Bowl opponent and kept their trips to town a little too interesting. But what helped the most was that no one on either roster was remotely as good as Dwayne Haskins or K.J. Hill. The Slobs were just atrocious, but it didn't matter. These games were won on Signing Day. As long as the Buckeyes have better and more dudes - and don't turn in the worst possible performance against a semi-gifted opponent that's playing out of its mind (hi, hello, bonjour, konnichiwa) they should continue to rack up underwhelming victories, and that's fine, because blah wins > inspired losses. It's all figurative title games from now up until the literal ones. Let's get Situational! 11. Ohio State is 7-0 for the first time since 2015. Pause for a moment and drink that in. That season the Buckeyes got to 10-0 but needed Michigan State to happen for them to beat Michigan by 29 damn points and win out. Two seasons later they needed Iowa to happen for them to beat Michigan State by 45 damn points and win out. One season earlier they needed Virginia Tech to happen for them to beat literally everyone after that. Are any of my readers cognitive scientists? Wondering if it's possible to manufacture the side effects of an Ohio State loss under Urban Meyer in a lab, but without actually taking the L in reality. They can make make steaks now without using actual cows. This is basically the same thing. You should be able to do it. The moon landing turns 50 next year. This could be your moon landing. Let me know how many more metaphors you need me to include here to be convinced. 4th and a short two, coming out of two timeouts. Thayer Munford blocks no one; Rashod Berry has two guys to block. 10. Ohio State's adventures in quality control continued on Saturday, most notably on 4th and a short two with about 7:30 left in the 1st half. Let's relive the majesty of sloppy urgency. Minnesota called a timeout. Then the Buckeyes called one too, because...well, they couldn't line up properly coming out of Minnesota's timeout. So two timeouts later, a roster full of 4 and 5-star athletes led by an all-star coaching staff couldn't manufacture two yards. Something similar happened after Hill's game-winner in Happy Valley - with a delay of game penalty. One drive later Ohio State had the ball on its own 45 with 42 seconds to go and produced nothing resembling even a mediocre high school program's version of a two-minute drill. They also had no timeouts left for that drive, because...aliens? It must have been aliens. Short yardage plays seem impossible now. Perfect seasons seem impossible always. But losing to Iowa by 31 points was very recently impossible too, so just like cow-less ribeyes - nothing is impossible anymore. They'll figure out how to gain two yards without the J.T. Barrett cheat code available and without burning a timeout to dial up a play that loses two. They will. Because they have to. Ohio State's linebackers are regularly erased this season. In this case, a blocked Justin Hilliard un-erased himself and made a play. 9. Urban's son-in-law is one of Ohio State's QC coaches, but hey - did you know the best man from his wedding coaches the Buckeye linebackers? I can't remember if we've ever mentioned that before. Bill Davis undoubtedly has knowledge in the art, philosophy behind and science of NFL linebacking - but in his third season with Ohio State and second actually coaching college linebackers, there appears to be a failure to communicate and transfer his knowledge and expertise to non-professional players. Imagine a tenured university professor connecting with a class of 7th graders. Teaching has a gradient. So does learning. Jordan Fuller and Pete Werner had 22 tackles on Saturday between them. No one else had more than six. Minnesota ran the ball 33 times. Is it possible that Davis' knowledge of the position and of defense isn't resonating with players still learning the game? As with all rhetorical questions posed in this column, scream them into a flushing urinal in order to hear the answer. 8. This should be hanging in the WHAC along with every other banner. We know you're excited about @BoilerFootball, and its game vs. No. 2 Ohio State. Need even more reason to be excited? We'll address this during Halftime, below. 7. Earlier we discussed how offenses like Minnesota and Indiana showed some tendencies on film before promptly abandoning them once they entered Ohio Stadium. This has resulted in inauspicious starts to games, but you know what? With one exception, Ohio State's contests have wounded down the same way. SCORE EARLY ON THE BUCKEYES, OR DON'T. Depth is good. Adjustments are life. That said, you need to own the 4th quarter at night on the road - before it owns you. 6. Penn State's K.J. Hamler broke the all-time record for longest pass play the Buckeyes have ever surrendered at 93 yards. This came two weeks after TCU's Darius Anderson broke the all-time record for the longest rushing play, same distance. Ninety-three yards, against some of the best Jimmys and Joes in the business. So, if Drue Chrisman sends a punt to Rondale Moore - the terrifying #teen pictured above - and he fields it right at the Purdue 7...hey, would you look at that. We've reached halftime! Patsy Stone demonstrating how to consume a Boilermaker. This weekend's opponent is named for the skilled forger of complex fabrications from raw steel plates. As the industrial revolution progressed, blacksmiths became boilermakers and somewhere along the way boilermakers became the purveyors of basketball on grass. We insource our American football. Steel fabrication is another story. Anyway, outside of the traditional B1G footprint, a Boilermaker is one of the only drinks you can order at a bar where some assembly is still required. We say traditional footprint because Penn State is Philadelphia's Big Ten Team™ and in those parts a Boilermaker is instead called The Citywide Special. It's the same drink(s). They also call subs hoagies there. Philly is basically a foreign country. You knew that already. The Boilermaker has two ingredients, a beer and a shot of whiskey. You can drop the shot into the beer and consume it swiftly like a glass bubbling with your mother's disappointment, or you can crush the shot first and then smugly sip the beer at your leisure like it's the tears of your enemies. 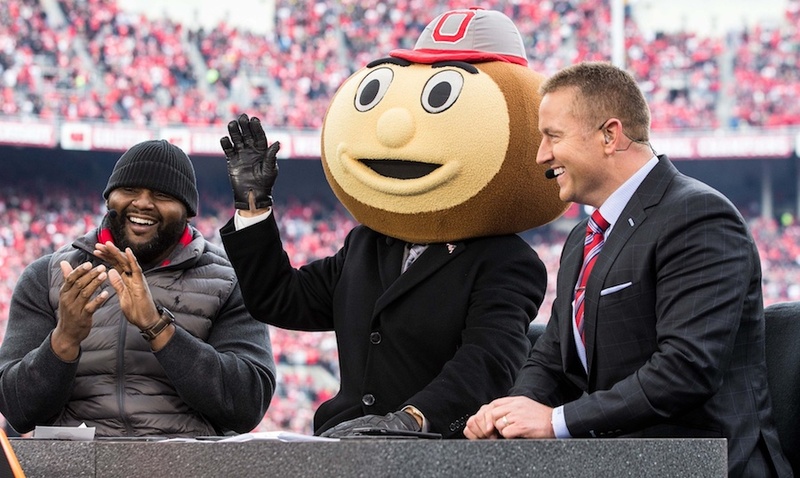 On Saturday night, the Buckeyes will take the field where such historic events as Holy Buckeye and more recently the Braxton Flip Pass and Zeke Killed a Guy all took place. A Boilermaker is an appropriate choice. This isn't a beer column, so order whatever you'd like - it's going to make you pee all night and wake up with a headache no matter what the label says. The bourbon? No higher than the 2nd shelf. Drop the small glass into the larger one, and then run the damn ball like you mean it. 4. While Ed Warinner is in Ann Arbor converting the historically squishy soft Wolverines' OL into an angry and destructive force, Greg Studwara's unit is still very much a work in progress, despite being a relatively experienced group of gigantic humans. The 2016-edition of Isaiah Prince returned against Minnesota and the Slobs uniformly had a terrible day en route to 30 points, which is what this high flying offense is still capable of producing despite being unable to do the most Ohio State thing possible with a football. You have to wonder if there's some psychology at play by Prince's coaches, openly allowing him to be humiliated when he was clearly the throes of a personal crisis and the offense refusing to slide a TE or an RB over to help him out. Hazing has been outlawed for decades. Prince's treatment by his superiors on Saturday probably should have been reported to campus police. At the current rate of Slob atrophy the Buckeyes will fail to average two yards per carry when they face the Bye next weekend. 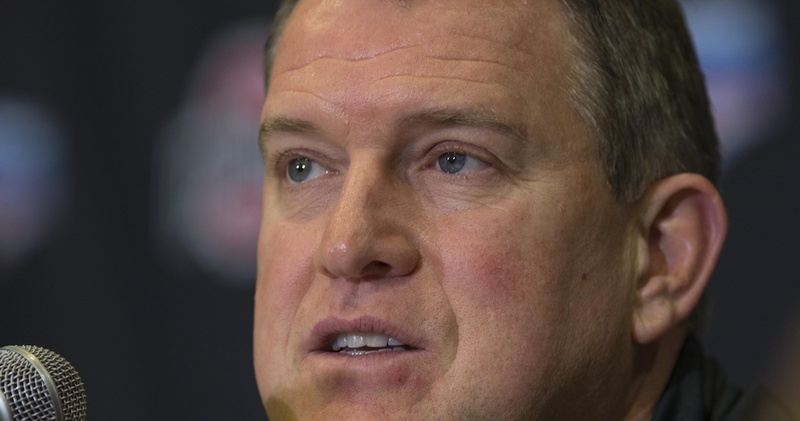 That unit was at its peak under Warinner, now an asset of Ohio State's mortal enemy. I wonder what nickname Michigan gave its Slobs. The Snobs? No, it's got to be more subtle than that. A Michigan Man deals exclusively in nuance. ANALYSIS: Your anxiety is justified. Meat scientists, if you're still reading - please figure this one out too. 11:30pm: Finish workday approximately 22 hours after it started. I'm exhausted from just typing that. Keep Herbstreit's journey in mind when he is still somehow upright and communicating coherently during the broadcast. Fidel Castro spent less time speaking in public without a script. Herbie is the new El Caballo. 1. The Eleven Dubgate returns when the Buckeyes resume play in Columbus on 11/3, and you should plan on joining us to pre-game for a good cause prior to the clash with Nebraska. In joining us, you will be following in the steps of the Bosas, who crashed Dubgate V prior to the Cincinnati game during Joey's sophomore season. Joey was still hours away from obliterating Gunner Kiel and over beverages, I asked Cheryl Bosa if her eldest already had designs on entering the family business of professional football - as his father and her brother had. She told me he did, potentially after his junior season at which point his little brother - who to me was still only rumored to exist - would be ensuring there would be Bosas in Columbus for years to come. So yes, Mama Bosa silently verballed Nick to Ohio State at Dubgate V. He was still in his first month of 11th grade at the time. Ward was the 4th overall pick earlier this year, and that dollar amount is accurate. Now consider that Nick will already be off the board and posing for photos wearing a team cap by the time Ward's peasant money is ready to be awarded in 2019. Leaving college early on account of lucrative job placement isn't selfish under any circumstance. It can be foolish or premature - it's just not in Bosa's case, nor was it in Ward's. Wishing talented players would stay on campus longer and jeopardize their indefinite financial security to strengthen your squad of unpaid amateurs is selfish. I'm selfish. You're selfish. Preserving and pursuing fair market value is not selfish. It's the first day of high school economics class. You got a little more than two years of Nick and almost three of Joey. There isn't a program in America that wouldn't debase itself to get even half of what we got. 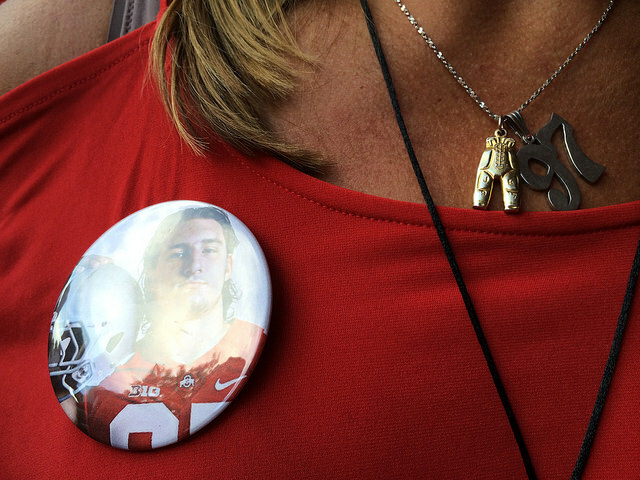 So thank you, Mama Bosa. And thanks for getting Situational today. Go Bucks. Beat Purdue.